Stuck at bitstagram looking what people post. Now you can request payment to give attention on https://poster.cash . 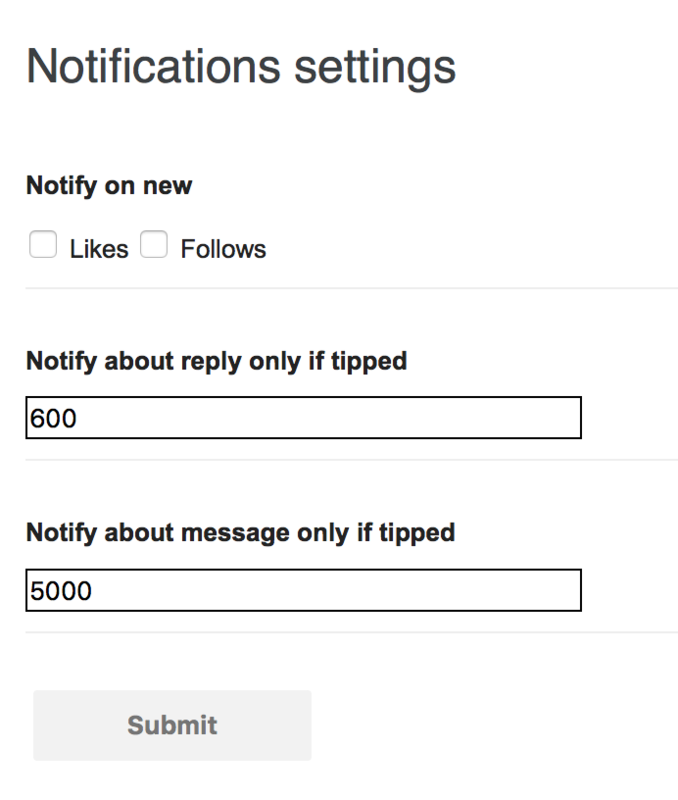 Just use the new "Notify about reply only if tipped" setting. You will receive notifications only if paid. Any interesting memo topic to follow lately? Real developers are artists. Products with real value do not need artificial promotion. I love transition states. The most amazing one for me is winter to spring. This is what BSV feels like right now. Some day I will tell stories to my grandkids how I witnessed unwriter's work in real time. Just like satoshi, unwriter will become a legend. Adding final features to poster, that I see it lacks. After that - my focus will be on onboarding users and growing it. It's really hard to get buyer for ABC coins on memo. I guess people don't put their money where their mouth is. A lots of small improvements were made to Poster.cash. Soon it will be good enough for larger audience. The max memos Poster will display is 1024 Bytes, corresponding to the 's' fields in bitdb. Supporting both base58 and cashaddr is complete nightmare even on small apps like poster.cash.